According to Japan’s Hobby White Paper 2014 published by the Hobby Association of Japan, the market size of domestic handicraft items is estimated to be 867.3 billion yen (about $7.8 billion). Among these, the market size of handicrafts traded through C2C (consumer to consumer) transactions via the Internet has been reported at 69.8 billion yen (about $627 million). In Japan, various players such as Minne, Tetote or Creema have been competing on this market. 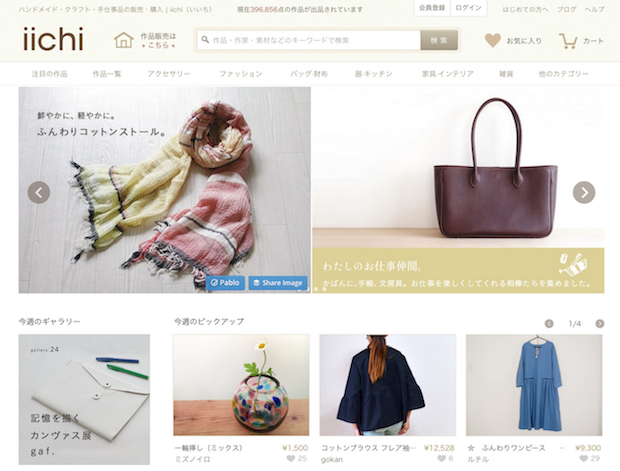 Under such a situation, a game change has been wrought by Japan’s Iichi, running a handicraft e-commerce platform under the same name, and Taiwan-originated Pinkoi, the latter running one of the biggest designer markets in Asia. The two outfits announced last week an agreement as to a business partnership. With this partnership, Iichi implements a capital increase through third-party share increase with Pinkoi as the subscriber. 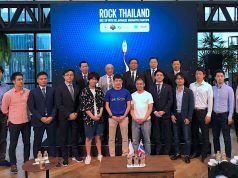 As a result, Pinkoi becomes the top shareholder of Iichi, with Iichi CEO Kentaro Iinuma joining Pinkoi as a board member and named CEO of Pinkoi Japan. Iichi started service under a business support program among Hakuhodo DY (TSE: 2433) group companies, and was officially established in 2011 with financial support from Hakuhodo (ad agency), Hakuhodo DY Media Partners (ad agency), Murashiki (cross-border e-commerce operator) and Kayac (TSE:3409, Yokohama-based internet service giant). Iichi plans to globally develop its handicrafts marketplace business as a joint venture between Pinkoi and the Hakuhodo group. It will engage in the management of both Iichi and Pinkoi Japanese version services. Pinkoi is a Taiwan-originated startup established in 2011. 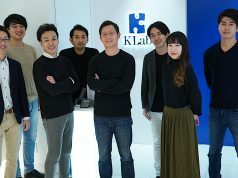 As a marketplace for design products to connect designers and customers throughout the world but mainly in Asia, it has grown to be one of the biggest Asian players with 2 million monthly users. Pinkoi has expanded its service in 77 countries including Taiwan, Hong Kong, the US, China, Japan and Thailand, covering 5 languages and 12 currencies. It has fundraised a total of $11.1 million from Sequoia Capital and Infinity Venture Partners. So, how did this cooperation begin? Since we wanted to develop our business overseas from the onset, we had already prepared an English version. But some difficulties in local marketing came to light. Although espying the difficulties, I recognized that high value placed on products from Japan and saw the Asian market as a business opening for cross-border EC services. Peter and I talked about such things over two days last October. Meanwhile, Pinkoi had been thinking of ways to expand into Japan. Since around 2014, we had gradually started research activities in Japan. Making teams and meeting designers, we started to investigate what issues they had and what we could do for them. In these process, I met Iinuma-san and decided to cooperate with Iichi for our larger vision. We are going to support designers in Japan to advance into the world, not just remain domestic. Pinkoi’s ability to create services and to advance globalization is what Iichi needed. On the other hand, while Pinkoi wanted to access Japan’s manufacturing market, it is not easy to directly access Japanese creators from overseas. As Iichi plays that part, we can create an ideal complementary relationship. After this agreement, Iichi’s team will handle the management of both Iichi and Pinkoi in Japan. Since the characteristics of users differ between the two, the team has to develop services in each category. As for marketing in Japan, it aims to improve user recognition together with Hakuhodo. If the two manage the services hand-in-hand henceforth, the synergy in the context of not only business but also the companies’ culture may become rather important. We both have two cultures. The first one is being a ‘people-first’ community. We are providing value to design-conscious people seeking products with good design. The second one is the quality of design. Not anybody can sell one’s products on Pinkoi. It is not open but is being curated. Specifically, only one in ten can be registered as a crafter. 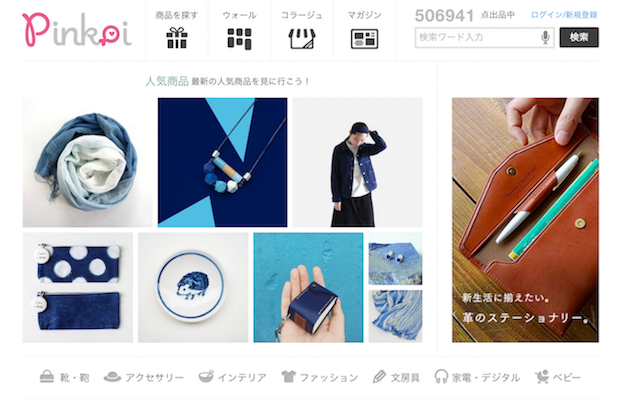 Through the curation for designers, Pinkoi is filled with various products where design-conscious people can find what they are really looking for. A community formed by both designers who have high quality and users who seek their products leads to the value of Pinkoi. The Pinkoi CEO told me that the most important thing for maintaining this status is to have passion to support designers. 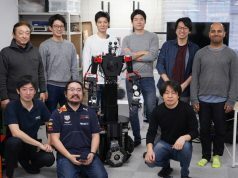 Sharing such similar mindsets as to treating crafters kindly, and an attitude to pursue design quality or passion in the team, Iichi and Pinkoi were able to reach this agreement. The emphasis on the community and the quality of design which is common to both companies will translate into a competitive edge of the services. We get top designers in various countries to participate in Pinkoi’s community, so that the community can gain unifying power and attract more designers. As a result, a lot of design-conscious users are attracted to purchase these designers’ products. While they have good eyes for fashion, good designers want to sell the products to the users as well. Our advantage is having both the top designers and the design-conscious users. I think Japanese crafters or designers excel in their abilities. As they enter Pinkoi’s community, the unifying power of the community will be raised further. In Asia including Taiwan, Hong Kong and Thailand, handicrafts or design products have been gathering more attention. 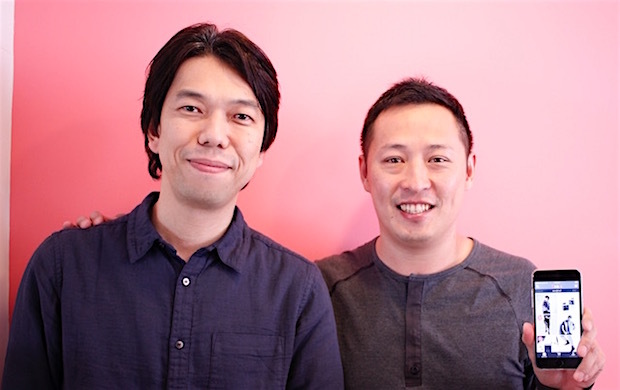 Pinkoi and Iichi empower designers in Japan, and assist them to advance into the emerging Asian market.